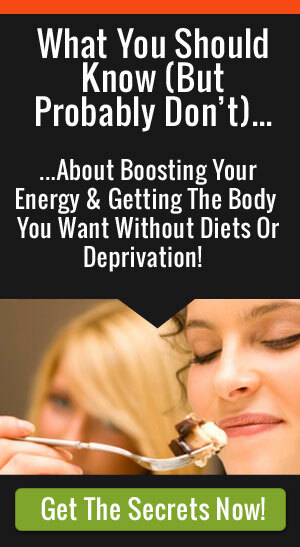 If you’ve followed my blog for a while, you probably heard me talk about the health wonders of superfoods — but just to recap, superfoods are highly nutritious foods that come with a host of vitamins and minerals along with special healing compounds like antioxidants and flavonoids — and those are the compounds that make the news when it comes to preventing chronic diseases like cancer, diabetes, heart, and Alzheimer’s Disease. But some superfoods are even more “super” than others, I’ll refer to them as “Über-Superfoods”: kale, spinach and turmeric. Kale is a leafy green that comes from the cabbage family, and there are many varieties from Lacinato, to curly, red Russian, and ornamental Asian just to name a few. And they all have slightly different flavors but are delicious sauteed with a pinch of salt and olive oil or added to many dishes you already know and love. Kale is a superfood because it packs a wallop of nutrition. I consider kale an über-superfood because it also contains very special array of compounds that fight disease, beyond the vitamins and minerals I already mentioned. Kale contains a special cholesterol-lowering fiber that works best in your body when kale is cooked. The fiber binds to bile acids in your body and whisks fat and cholesterol out of your body so the fat doesn’t get absorbed. Raw kale still has cholesterol-lowering ability — it just doesn’t work as well. Kale contains over 45 different flavonoids, including kaempferol and quercetin just to name two: kale has both antioxidant and anti-inflammatory benefits. When it comes to cancer, it has amazing risk-lowering benefits especially for five different types: bladder, breast, colon, ovarian, and prostate cancer. Researchers and nutritionists credit the risk-lowering benefits to the compound class of isothiocyanates (ITCs) and glucosinolates. Another prized compound called sulfurophane helps fight high blood pressure and can kill the Helicobacter pylori bacterial strain, which is responsible for stomach ulcers and gastric cancer risk according to Dr. Drew Ramsey. 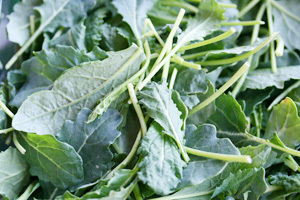 Kale is also king when it comes to detox — again predominantly due to the glucosinolates that can help regulate detox at a genetic level according to “the world’s healthiest foods” at whfoods.com. If you want to learn more about kale and how to cook with it, you can preorder my new book written with brain food expert Dr. Drew Ramsey, “50 Shades of Kale”. I consider spinach to be an über-superfood because of the medical studies indentifying it as a cancer and inflammation fighter due to the high levels of phytonutrients — and ones that specifically slow the growth of tumors. Lycopene, alpha-carotene, and beta-carotene are some of the other nutrients present in the pigment of spinach that get scientists excited. I’m sure you’ve heard that cruciferous veggies like cauliflower and spinach can fight cancer — but spinach is similar, if not more, potent. 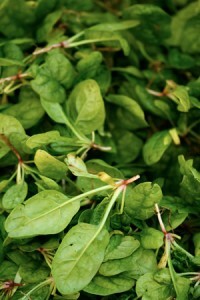 Animal trials with spinach have shown promising results against stomach, skin and prostate cancer. In 1966, pathologist Dr. Donald Gleason invented a scoring system to rate how aggressive cancer is (1 being not that aggressive and 10 very aggressive). He based the score on information derived from studies of the biopsies of nearly 3,000 patients who had been diagnosed with prostate cancer. In a Harvard study, the researchers noted that they “found some evidence — up to 34% reduced risk of aggressive prostate cancer than men who did not eat spinach or cruciferous veggies. So the research out there on spinach and cancer prevention is intriguing but just to wrap up the power of this über-superfood, spinach is also cited as a potent preventive food against cardiovascular disease including stroke and coronary artery disease and age-related macular degeneration and cataracts. Finally, I want to share some information on a spice that is so super that it ranks as one of my top über-superfood: Turmeric. It’s made from a root that resembles ginger — only it’s a much deeper color, a vibrant orange (bright yellow when dried and pulverized). If you’ve had a store-bought yellow curry powder, then you’ve certainly tasted turmeric and would recognize it’s stringent taste. Turmeric is being evaluated for its ability to calm the nervous system and PMS, and even fight cancer because of its active ingredient, curcumin, which works as a powerful anti-inflammatory. Ancient yogis have been singing turmerics praises forever and they consider it a panacea of healing. Some yogis even bath in it and use it topically as a paste mixed with water as well has a food remedy. In terms of scientific studies, there are hundreds out there — some on turmeric’s healing power against cancer and its efficacy for skin disorders. A fascinating obesity study in 2009 by Dr. Mohsen Meydani compared two groups of mice on the same diet — except one group getting additional turmeric. 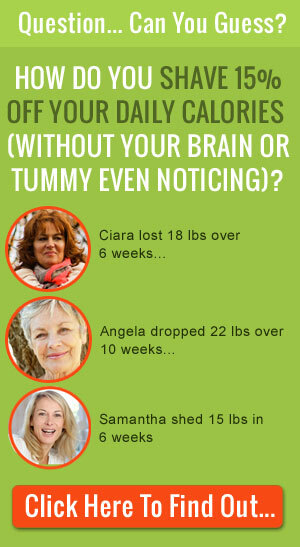 The results showed that the ones consuming turmeric did not gain as much weight. 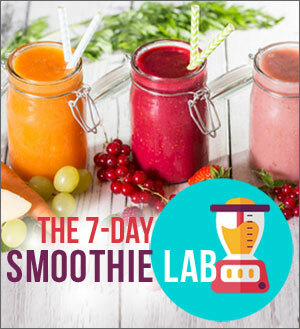 So how can you get more of this inflammation zapper into your daily diet? 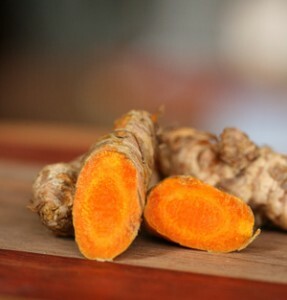 Turmeric has a stringent, tart flavor and it’s the spice that gives curry powder its characteristic bright yellow color. However, using it in small amounts in your favorite recipes is easy since it comes in powder form. Add a teaspoon the next time you make chili or sprinkle some on a fresh mango with a squeeze of lime, then throw it on the grill. 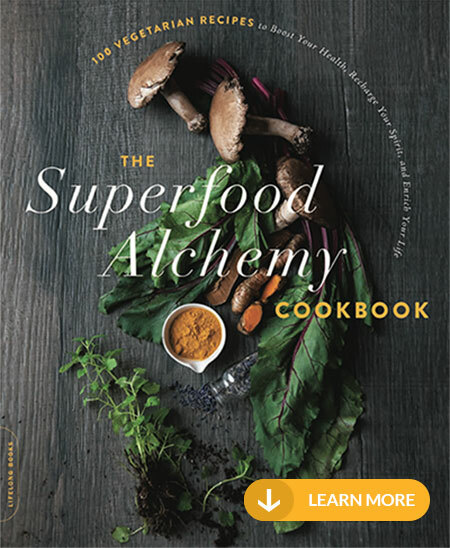 Looking to cook up some über-superfoods? Try my recipes for curry chicken salad, savory spinach dip —simple sauteed spinach or watch the video to make your own crunchy kale chips.